New York's abandoned island Jump to media player It's one of New York 's best kept secrets. Lying in plain sight of the city is an island which no one has inhabited for more than 50 years. Photographer Christopher Payne shares the secrets of North Brother Island. It's one of New York's best kept secrets. Lying in plain sight of the city is an island which no one has inhabited for more than 50 years. 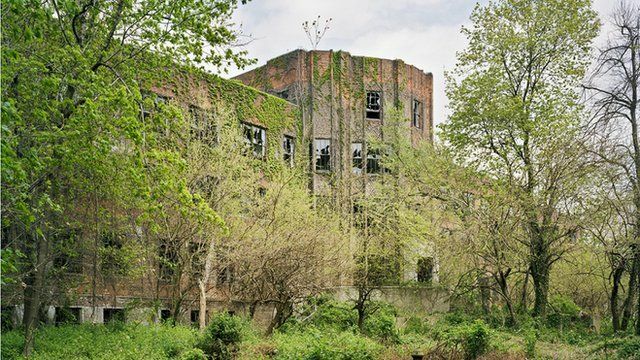 North Brother Island was once a quarantine station for patients with infectious diseases. It then provided accommodation for returning World War Two veterans and finally was a rehabilitation centre for drug-addicted youths. But in 1963 the complex was shut down and abandoned. Left behind was a campus of buildings, many of which have now been reclaimed by vegetation and nesting birds. Archival photographs and maps courtesy New York Correction History Society, New York City Correction Academy, New York Public Library, New York Municipal Archives, UCLA Department of Geography, Benjamin and Gladys Thomas Air Photo Archives, Fairchild Collection.